Find out about new smart sensors and solutions for (urban) water management application at this year’s IFAT. Our OTT Hydromet stand team is waiting for you and is looking forward to interesting discussions. Secure your ticket now and make an appointment on our stand. Simply send an e-mail to info@ott.com with the subject line “IFAT“, indicate the number of tickets requested and, if required, the date and time of your visit at our booth. 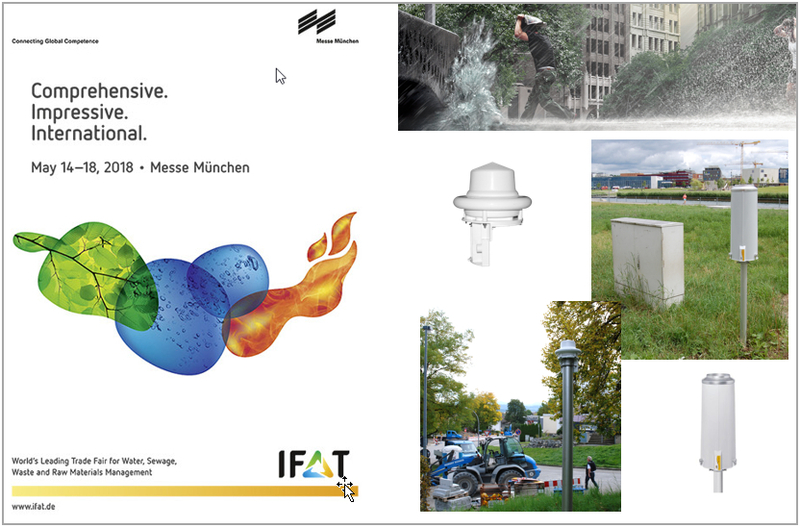 Focus on this year’s IFAT for you: Smart sensors for urban areas – with new sensors, we will show you how rain / precipitation, water level and flow events are measured and how the data is sent reliably to your data center, control center or data cloud. The new smart sensors for smart city solutions – small, compact and no maintenance … attributes that are convincing!